Health and wellness is officially on everyone’s radar—including the tech world. And January has brought us quite bounty of healthy innovations—we’re talking increasingly stylish trackers (hello, rose gold!) that monitor everything from the quality of your sleep to your water intake, bras that act as heart-rate monitors, and we’ve just heard something about a food scanner that provides nutrition intel about the foods on your plate. These five cutting-edge innovations, all curated from the International Consumer Electronics Show, are about to find their way into your gym bag, workout routine, and healthy dinner plans. Better health has never been so simple. With Under Armour’s new HealthBox, which retails for $400, the UA Scale recognizes you as soon as you step on, measures your weight and body fat, and tracks progress toward your individual goals. The UA band tracks your steps, intensity, sleep, and resting heart rate. 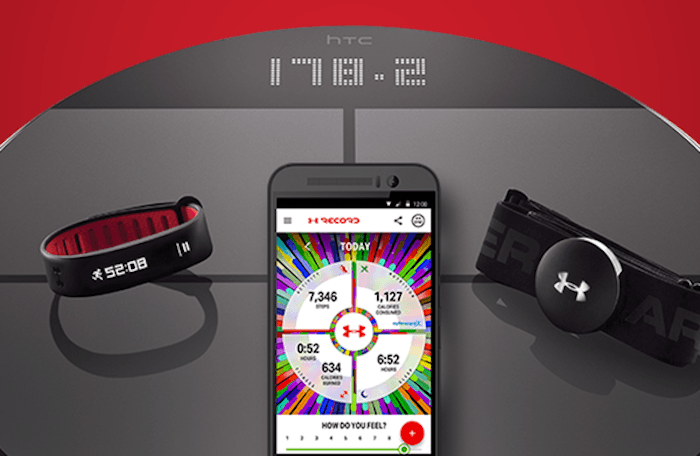 It connects to the UA Hear Rate Monitor, tracking your workout intensity and displaying the results on your watch. The sports bra goes high-tech! The OMsignal sports bra works a bit differently than your average fitness tracker, monitoring your breathing, stamina, and heart rate so that it can help you figure out when to go the extra mile and when to take a day off. It also streams in real-time to your smartphone (yes, your bra will be calling your phone direct! ), so that you can show off all the progress you’ve been making. Do you sweat more at spin class when it becomes a competition, like at Flywheel? Or run faster when you’re trying to show off to your running buddy? New Balance gets it. 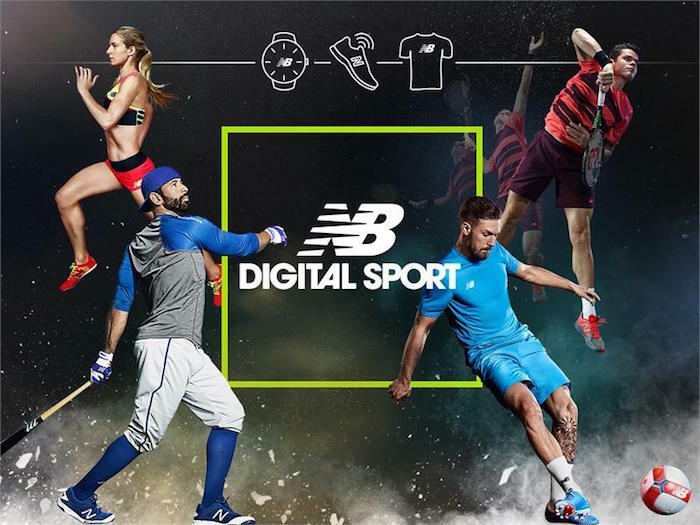 And they’re launching a division to use competition to enhance athletic performance. First on their list is a smart watch, set to launch by the end of the year, designed specifically for runners. No need to run with your iPhone anymore (and no need to worry that it’ll slip from your hands and crack! )—both GPS and music will be available from the watch. 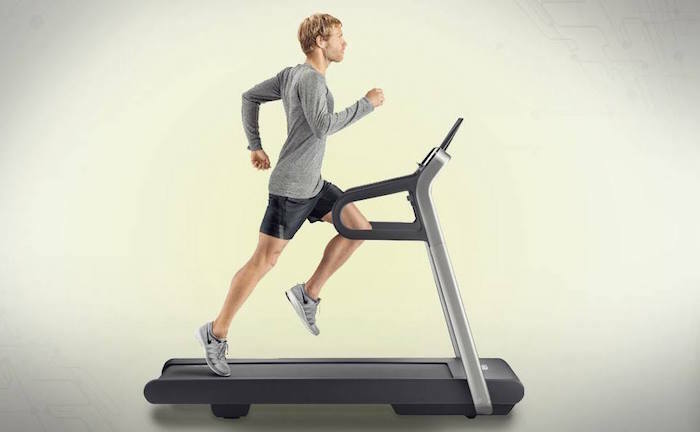 If you can’t stand the cold, but hate running indoors, Technogym may have just what you’re looking for. Running Music, the newest addition to the treadmill’s digital platform, syncs up your stride and your tunes—creating a playlist that matches your pace after determining your gait and rhythm. How’s that for music enhancing your workout? If you want to recreate your favorite running route on the treadmill, Technogym can do that too, with MyRunning Logbook, an app that replicates an outdoor run. The app monitors your position along the route and pushes you to run just as fast (or faster!) than you did outdoors. Wearing a fitness tracker just got a whole lot more stylish. Ray, Misfit‘s first release since being acquired by Fossil Group, monitors sleep, steps, and activity in a much smaller, prettier fashion. The tracker, which can be customized as a necklace or a bracelet, is less than 1.5 inches long and 0.5 inches in diameter. Choose a sport band or a leather band, and the color of your battery (which doesn’t require charging! ), and add it to your favorite stack of bracelets. We’re all for versatile fitness-wear. If all these tech wearables are giving you data overload, remember, you CAN take things in the other direction for a while. Here’s how.